Before our great adventure I knew very little about Munich. I knew about the beer, the beer halls and that castle to do with the swan. My dad has traveled and seen a very large chunk of the world. He is my travel super star. Whenever I’m going somewhere he will pull up a google map and point out his favourite museum, food stand, restaurant, gallery etc. from memory going back thirty years… or more! But don’t tell him I told you it could be more than thirty! With our joint love of traveling we have started an informal kind of competition. We have this giant book with 101 places in the world to see before you die. When we bought this book about eight years ago my dad was the clear winner. I have slowly been catching up. 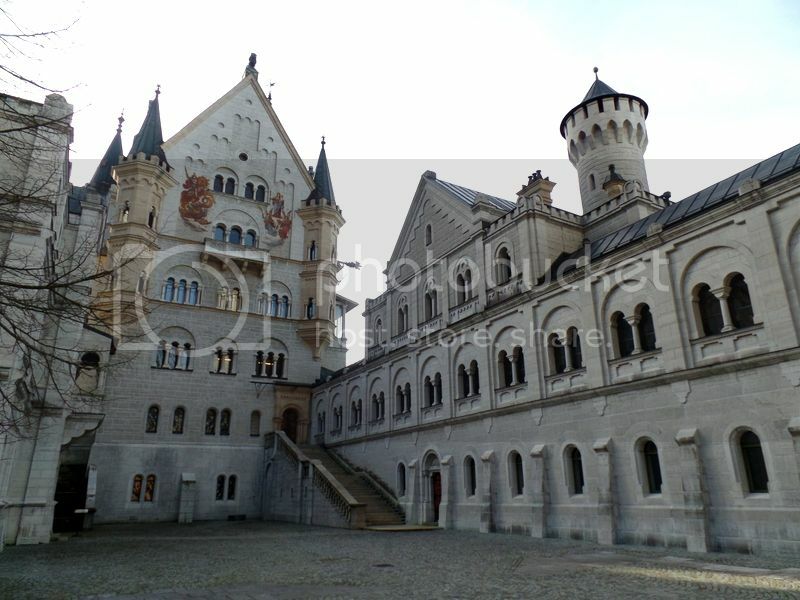 One of those 101 places is the Neuschwanstein Castle just outside of Munich. I have been dreaming of visiting this castle for about eight years now. This was the reason I was visiting Munich. George was visiting for the beer. 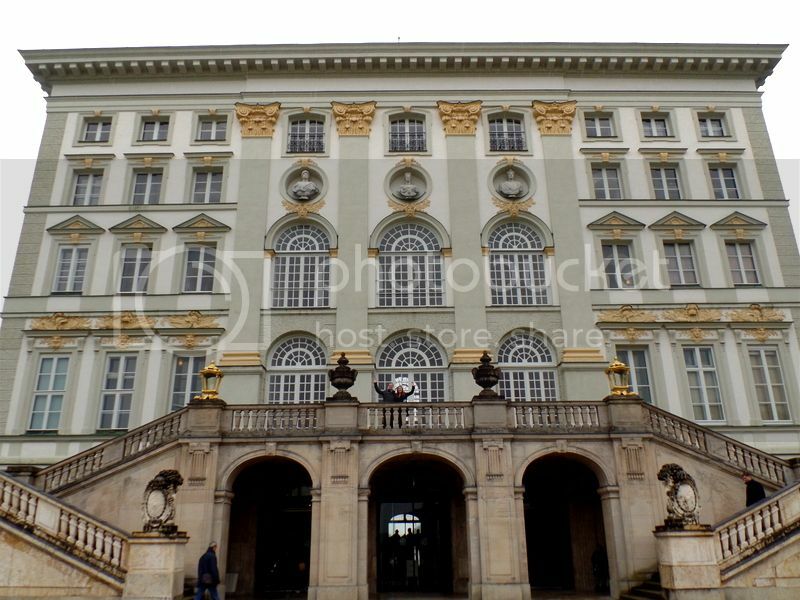 Munich blew us away – it is so much more than great beer and a swan castle. The city is so cool! It is friendly and busy and one of the happiest German cities I have had the pleasure of visiting! Munich is kind, strangers smile and the beer is really, really good and the food portions are huge and we were happy all the time! If you’re looking for a European adventure I would highly recommend a direct flight to Munich via Lufthansa. 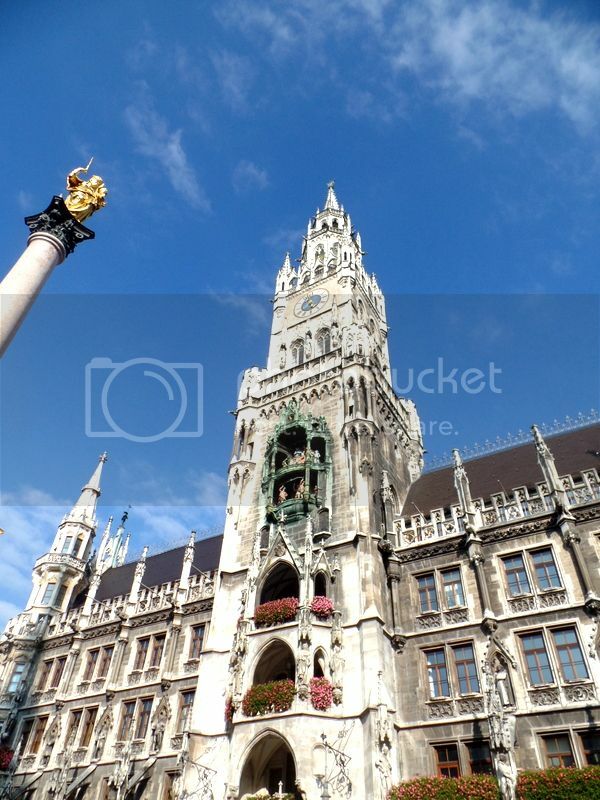 If you’re Cape Townians like us you will be delighted to learn that you can reach Munich directly (no Johannesburg stop over) in just 11 hours – and bargain flights can be found! From Munich, Europe is your oyster – explore more of Germany or alternatively head over to Switzerland, France, Belgium or the Netherlands! With so many brilliant adventures in Munich I would be writing for days. As it is putting together this list of our Top Ten has probably already taken me about 20 hours. Yes – blogging is not always easy! I would highly recommend a visit to Munich – we loved the city and here are a few of our must dos, sees and eats! Munich for us was the most “German” of our German destinations! 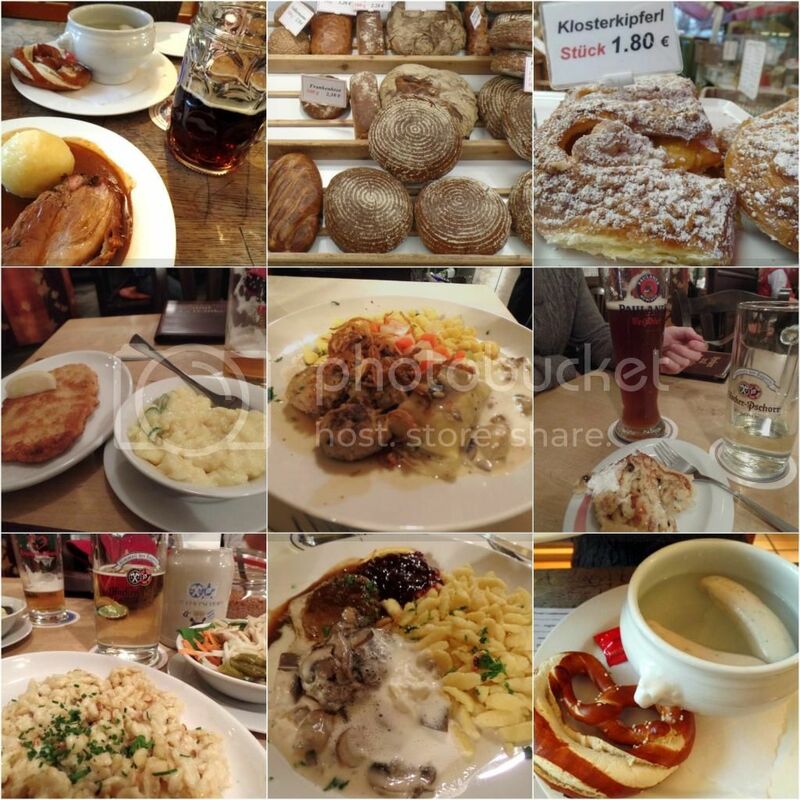 The food was traditional and amazing and I have a separate blog post just dedicated to the great food we ate in Munich! German food is seriously substantial and you always receive a giant portion. It’s a good idea to mix in snacks for lunch with a hearty German dinner, otherwise you will be permanently sleepy and full stomached! When we weren’t eating German food we were eating amazing ice creams and pizza! We ate ice cream whenever we could despite the fact that we were bundled up in coats and wrapped in scarves. We also found an incredible pizza spot which I will definitely return to on my next visit to Munich! You can’t eat German food without German beer. I’m pretty sure there is a law somewhere that says that! George was in his absolute element with a giant beer in his hand as often as possible! He’s going to fill you in on the Munich beers because I know nothing and chose to drink a lot of Radlers. If you’re a beer lightweight I would recommend a Radler which is simply a mix of beer and sprite which is really delicious! Paulaner Hefeweizen Dunkel– Delicious, with typical characteristics of a weissbeer all there and a rich, dark colour. Nose is light but typically “Weiss”. Hacker-Pschorr edelhell vom holzfass (prime lager from a wooden barrel) – Very clean, as I suspect all Munich beers are. There is a slight Parmesan or mature cheddar scent on the nose followed by crisp, subtle flavours with something like liquer cherries to it. The experience of beer pouring out of a proper wooden barrel is just amazing if you’ve never tried it before! Augustiner Dunkel – This beer had a very creamy head. Taste-wise it was the lightest dunkel I tried, but still retains a more metallic tang than the helles beers of Munich. It’s colour was somewhere between an amber ale and a black IPA. It was almost whiskey brown, for lack of a better word. Augustiner weissbeer – A mild weiss, very well balanced. A very, very tasty beer with the characteristic fruit (bananas and pineapples) flavours on the nose following through on the palate and accompanied by slightly burnt butterscotch taste. As you can see, I’ve not listed any of the Helles (Pale lagers) or Pils beers, both styles that the Germans are famous for. That’s because the quality of the light lagers that I had at any establishment and from any brewery was so good that it was honestly impossible for me to pick a favourite. I tried one from each of the six breweries with the exception of Spaten, and all of them were amazing. They are so clean, tasty, smooth and refreshing. Each beer surpassed anything I’ve had at home or elsewhere abroad – honestly, just walk into any of the beer halls, ask for one and enjoy. You literally cannot go wrong. When putting this post together I spent quite a long time choosing photos. 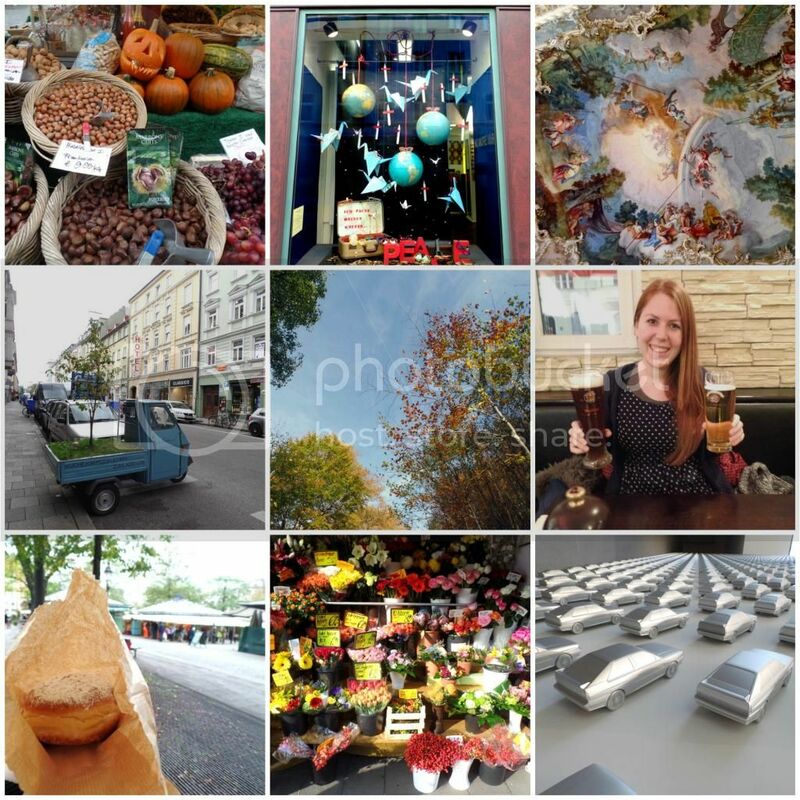 Now that I look at the uploaded gallery it feels like I chose all my photos… As I type this I’m thinking: “You cannot upload this bloody many photos Tahlia Claire!” But the other half is wheedling: “But it’s so pretty!”. Here’s the deal – The Neuschwanstein Castle is mind blowing. If you’re in Munich and don’t squeeze in a day trip you’re making a serious mistake. I’m going to go into much greater depth in a separate post because this day trip is more technical than you would think! 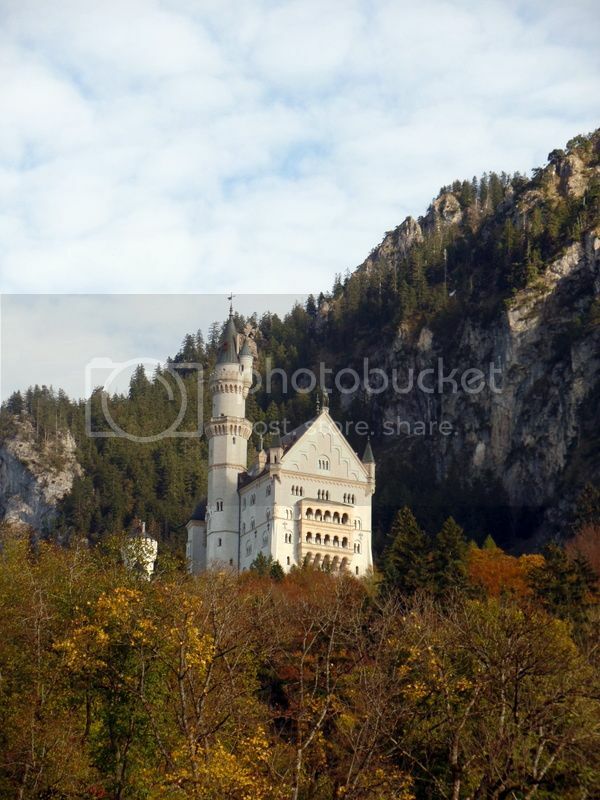 Here’s the catch about The Neuschwanstein Castle that nobody told you. The Castle is way more beautiful inside than outside! I know right! Difficult to believe, but trust me – It’s amazing! 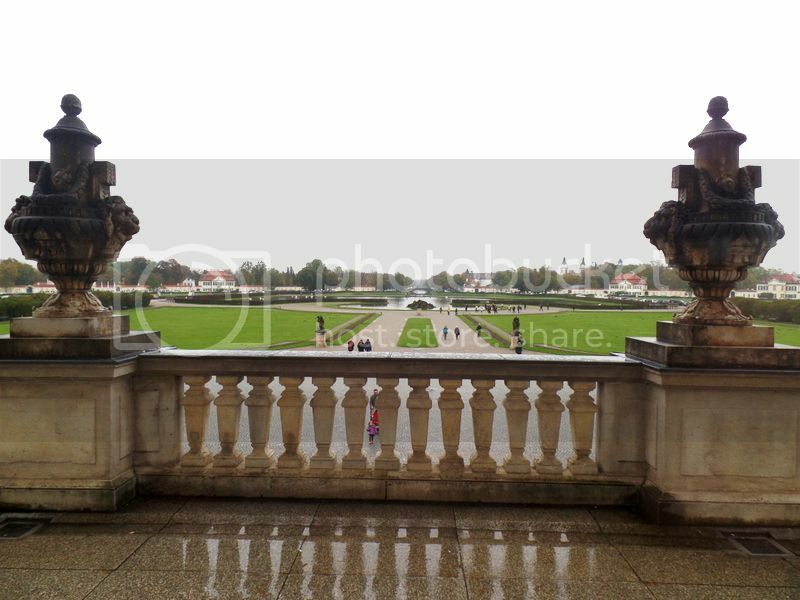 Munich is home to some incredible art museums. We both love modern art so we tend to visit the old masters sparingly. I wanted to visit the Brandhorst Museum because it had a really cool building. Yes… I’m really that easy to win over. But it was the best decision we made in Munich! 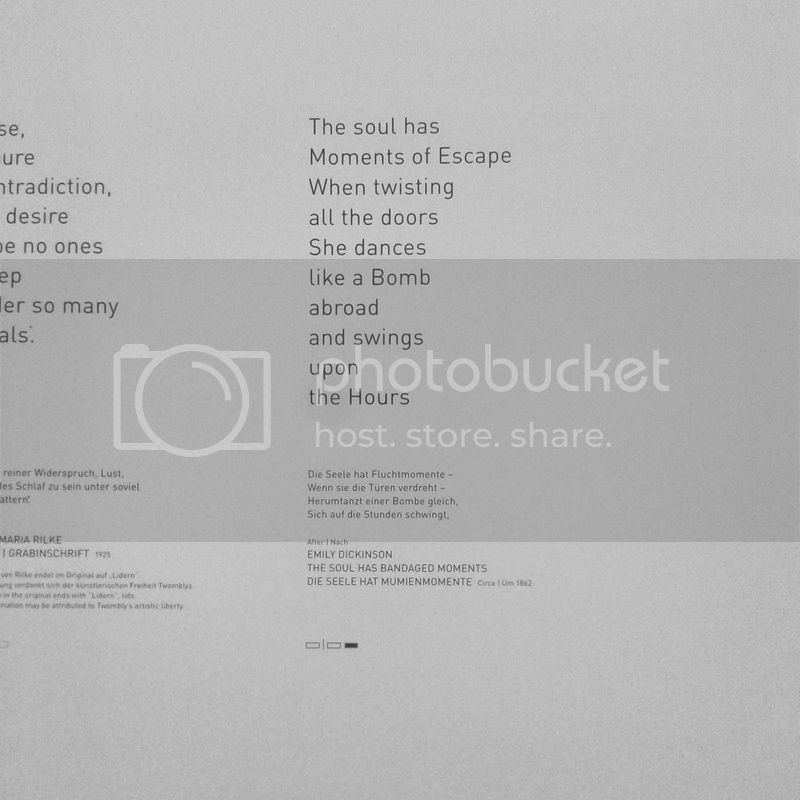 If you only do one thing in Munich my recommendation would be to visit the Brandhorst Museum, walk upstairs to the Twombly exhibit and stand there until your soul wakes up and starts humming (it should take about twenty seconds). I was truly blown away by the sheer beauty of Twombly’s work. I will even tell you that I did some subtle wiping of a tear or two. The Brandhorst Museum holds 170 works by Cy Twombly – look out for the Lepanto Room which is a twelve part painting. Also please note: You cannot cannot take photos in the Brandhorst Museum. I did not know this – and some crazy German security lady stood shouting at me for about two minutes. It was really scary. You have been warned! But because I had to endure the shouting – I’m using the photos. Boom! 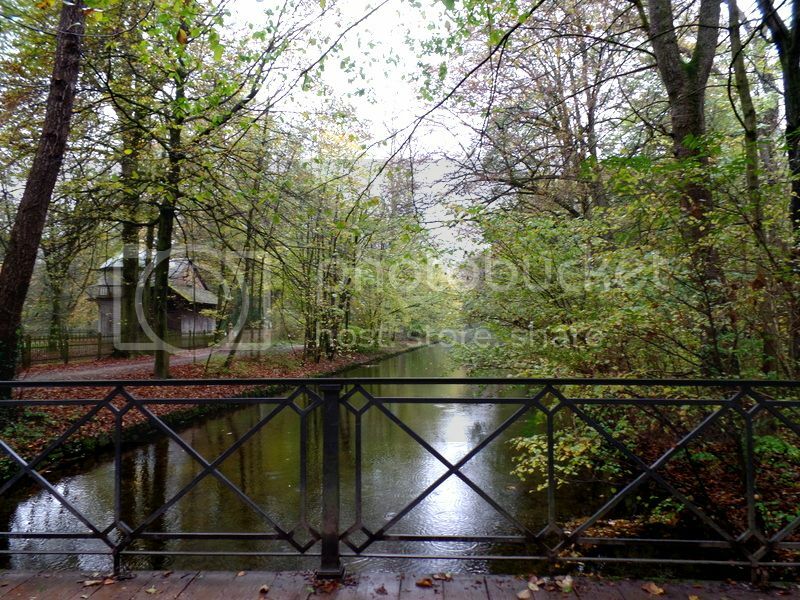 We used Taxi Guide Munchen for our private guided tour of Nymphemburg. They are the most fantastic company with such helpful, educated and friendly guides. They picked us up right outside of our hotel, drove us through Munich, running through some basic history on the way to the Nymphemburg. At Nymphemburg the guide joined us in the palace and really added value to the experience with fun facts and historical background. The Palace is beautiful with or without a guide but by having a guide you get to learn so much more! The royalty of the palace could make the cast of your most scandalous soapies blush! 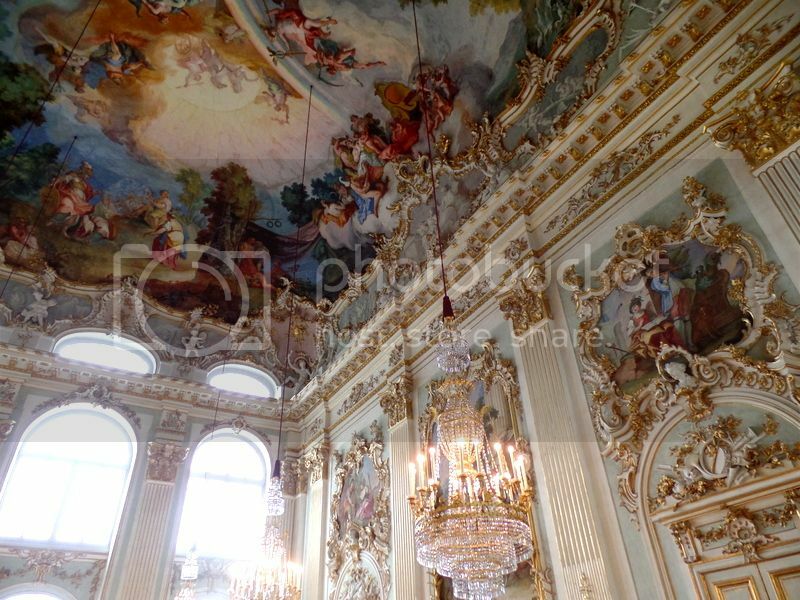 I was in love with all the paintings on the ceiling and by the time I left I had a serious kink in my neck – worth it! Make sure when you visit the palace to spend some time walking around in the grounds at the back. So beautiful and really peaceful. The Church of St Peter’s is found at Marienplatz. The Square is really busy so it is wonderful to climb up to get a better view. We climbed up those 306 steps a little out of breath but it was so worth it! 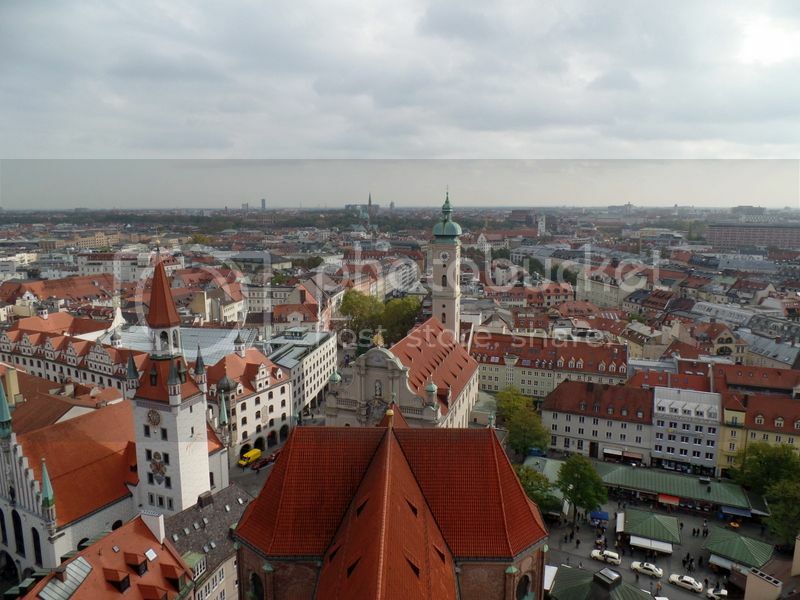 St Peter’s Church definitely offers the best view in Munich! 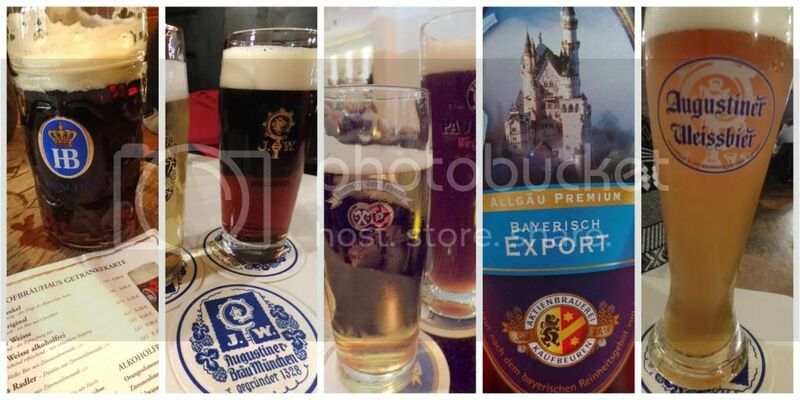 Munich has a serious beer culture and to not join in is to not properly experience the city. The giant beers, the communal tables which bring an inflow of new friends at every course and utter confusion at the serious German’ness of it all is all apart of Munich. 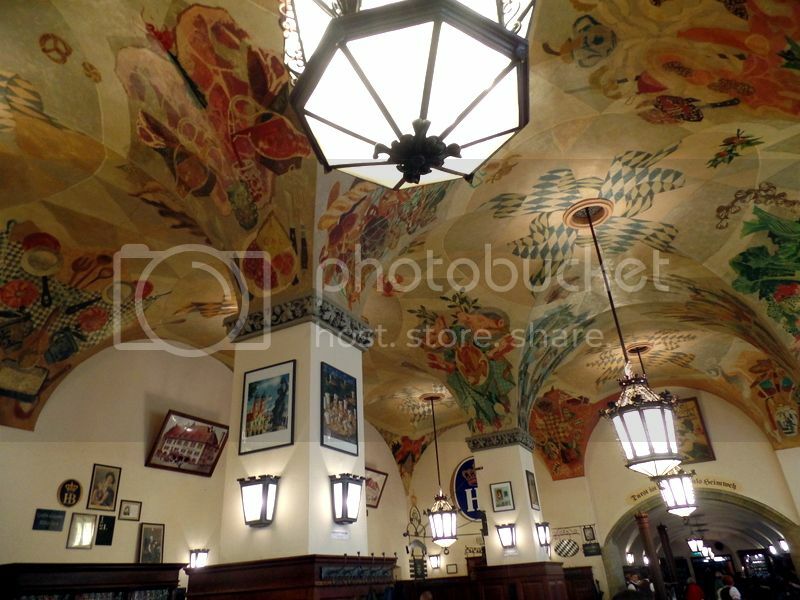 The most famous beer hall is of course the Hofbräuhaus which is giant and packed with happy beer drinkers. We visited the Hofbräuhaus and enjoyed our time there but found other beer halls which we preferred. Hofbräuhaus is packed to the brim with international tourists and the waiters are unfriendly and rushed. If you’re looking for the beer hall experience I would recommend a visit to Augustiner. The menu is larger with more tempting options, the waiters are more patient and helpful and we felt less rushed. Hofbräuhaus is kind of like Disney land in that its full of loud tourists who are being pushed in and out the door, whereas we felt Augustiner had a lot less international tourists and offered a more leisurely experience. For more details on the food at the beer halls make sure to check out the Munich foodie post! Munich is a very romantic city, especially in the winter when everyone is cuddled close or lingering in warm restaurants for an extra drink. Marienplatz gets lit up at night turning it into a little fairy tale. After a fabulous German dinner I would recommend a slow walk around Marienplatz with someone you love in one hand. We met up with a really wonderful tour guide, Alex, for a tour of the old town. The old town of Munich is really beautiful, but the more you know the more beautiful it becomes. It was wonderful to spend time with a Munich local who shared lots of history and stories with us. If you’d like to do a small group tour make sure to visit her site. Munich is a bit of a fairy tale town and has wonderful stories. A highlight of the tour was watching the Glockenspiel’s 43 bells chime on the hour and having Alex explain what everything means. I have a new found respect for the Munich monks and whenever I was in a beer hall in Munich I looked for the Chestnut trees! But these are stories for you when you join Alex’s tour. 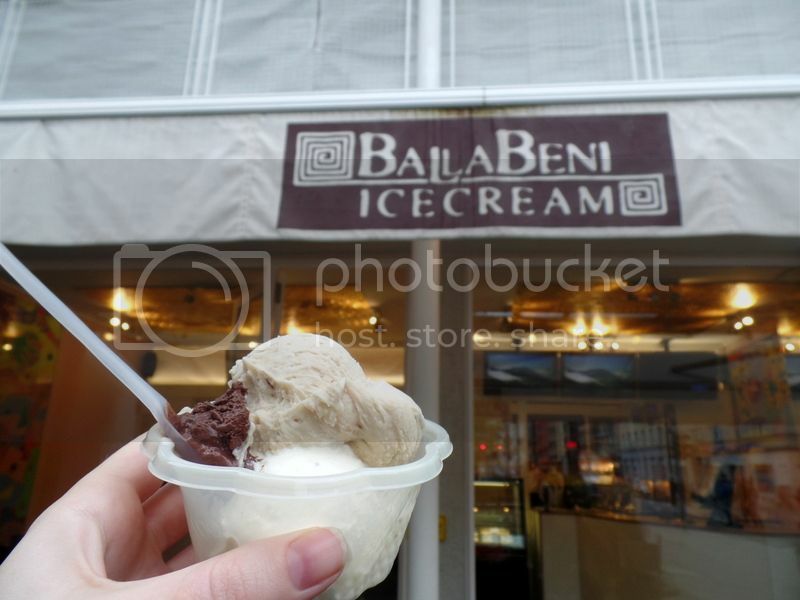 We ate some amazing ice cream in Munich! Visit the Munich Foodie Post for more details. You should click on that link just to find out the crazy, crazy weird flavours we tried! We steered away from trams due to getting very lost on our first attempt. We loved the underground system and we luckily lived very close to a busy stop. I would recommend getting a transport card for the duration of your stay. Munich is not a huge city but it is worth saving your feet when you can. 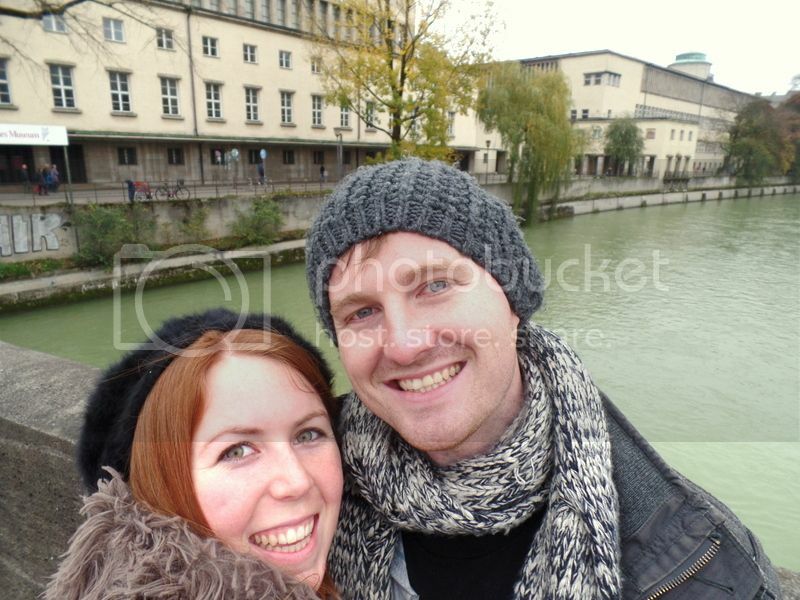 In Munich you do lots of walking around and our feet were sore just about always! We stayed at Hotel Hauser which is a little, old fashioned three star hotel which was very central and really close to an underground stop. It was only a couple of minutes’ walk to the Brandhorst Museum and our favourite ice cream stop was just up the road! The center of Munich was also just two subway stops away – very walkable but best to save your steps. They also have a really amazing breakfast spread and free wifi! We appreciated the little touches like the complimentary bottle of water on arrival and the Haribo gummy bears on our pillows! A giant THANK YOU to the tourism department of Munich who were instrumental in helping us put together this amazing trip! I have nothing but love for Munich. 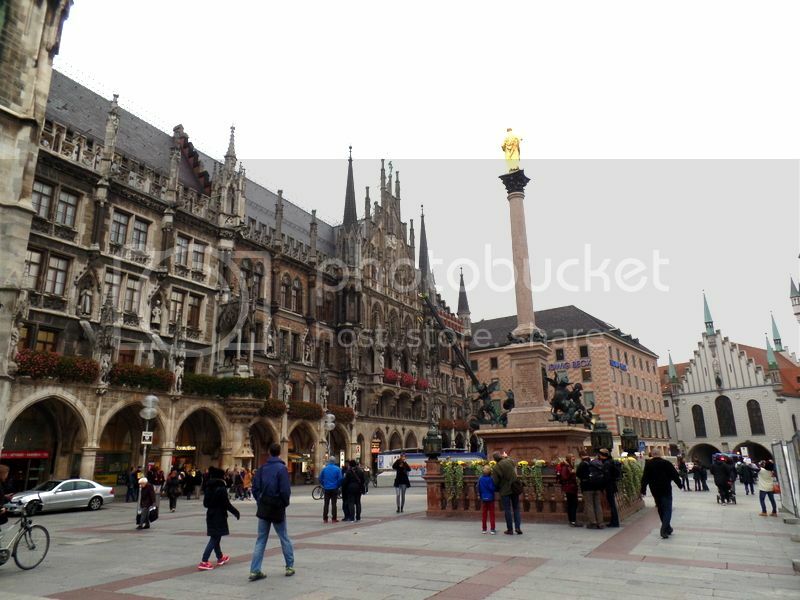 Check out their website for Munich travel inspiration! I will definitely be returning to Munich one day! Do you have any travel tips or favourites I haven’t included in my list? 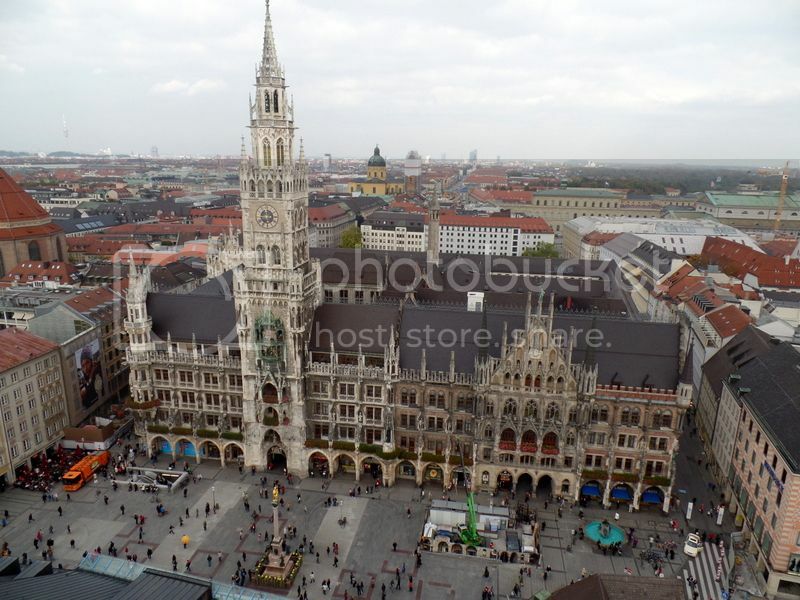 I would love to know what you think of Munich! Our Favourite Foodie finds of Munich Berlin: The One of a Kind City Prague: Top Six things to do! Budapest: Top Six things to do!